Isn't that a beautiful butternut? I must credit Michelle & family for growing such a fine specimen in their very own garden. 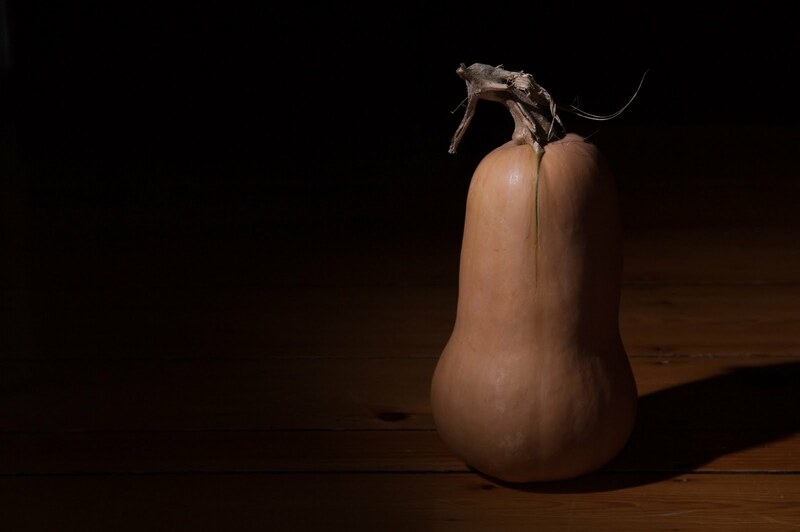 It is truly a lovlier-looking squash than any you will find in the grocery store this season. Someday, I'd like to cultivate a little patch of yard for growing veggies, too... Until then, I am thankful for generous farmer friends! Today I posted one of our favorite recipes for butternut squash! I also linked to this photo. Nice gourd. Let it dry out and keep it forever.